Welcome to Xian Report, the growing Online Digital Report on Xian , the Capital City of Shaanxi Province in the Peoples Republic of China. A very long Time Ago, during the 4Th through 9Th Century Xi'An was known as Chang 'An, the City of Western Peace and was the Ancient Tang Dynasty Capital of China. Located at the Chinese Beginning of The Silk Road, and Dynastic Capital Chang An was a prosperous City and the Center of China at the Time. The Xian Report brings you un-precendented photo-series (16000+ photos ) on a growing number of Xian Landmarks , the famous 16 kilometers of preserved City Walls - the largest remaining in China-, plus some hot-spots and odd-spots. 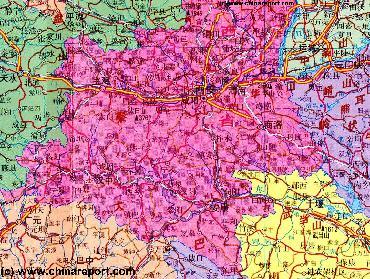 Combined with Maps of all Districts and a pleasant, but true and informing text, researched in-debt and completed by online resources and an evergrowing Xian Best Photos Gallery for your convenience, Xian Report gives you a unique view , insight and tour through the City of Xian , Shaanxi Province. Please enjoy our Free and Unique Tour of this Friendly and Interesting historic City. Xian Report brings new photos and information on a regular basis. 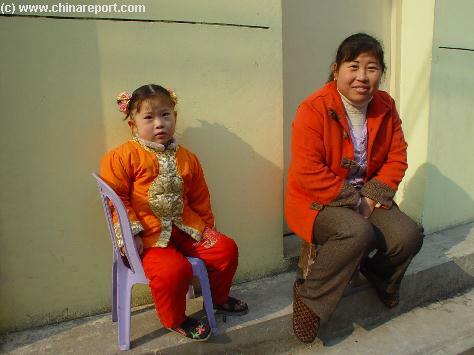 Check the China Report -MSN Blog for Latest Details. Xian , Ancient Capitol City of China has a long history , dating back 1000's of Years. Once a Buddhist Capital at the Source of the Chinese Silk Road , melting pot of primordial China, it is now the booming and bustling Capital City of Shaanxi Province, an increasingly modern and rapidly developing Province. In this City the Old and the New Combine. But , they do so at a slow and gentle pace. True - Old gets torn down , new is born. New trends in China have taken hold and change the City of Xian (Shaanxi) and it's Peoples. However the Ancient Splendor , Facade and Tranquility of the City is being preserved. Remaining in the City are the unique 8Th Century Great Mosque of Xian and surrounding Muslim Quarter, as well as a Stele Museum. 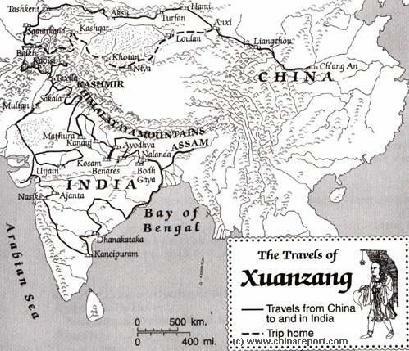 To make Xian City comprehensible to the reader, who like us , is exploring China ( almost ) for the First Time , the Xian Report starts off simple. We take you on a Tour past the Well-known Landmarks of Xian. Find them in our Main Menu ! From there on we explore further , as is natural for a Tourist or Traveling Visitor. can as we take you and ourselves to explore this exciting city and report our adventures and discoveries online for you. Short how to Use of the Xian Public Transport System including Taxi and Bus & Airport. Usefull in getting you on your way. Digital photograps to go with each story and explanation, Xian City Maps. Do's and Don'ts of Xian Taxi hiring. Short Introductionaries and Extensive digital photographic Tours + researched backgrounds or history of All major Xian City Monuments , Landmarks, Museums and other places of interests. Hot-spots of Culture, Art and history. A Small selection of especially recommended Hotels. Ch'ing Imperial Dynastic Tombs, Terracotta Army, The Great White Goose Pagoda and ofcourse the beautiful The Summer Palace and Hotsprings at Xian's North-Western Edge. All sources used in the Creation of this Website. Sometimes with short or extensive description. All Online sources used in the Creation of this Website. Bibliography of links to Information Sites on Xian and Xian City Monuments and Hot-spots. Offline sources used in the Creation of The Xian Report & Xian Virtual City. Bibliography of Books, articles , films and other material usefull in the Discovery of China and it's Ancient Tang Dynasty Capitol City of Xian. Background readings and sources. More information on the Peoples Republic of China and it's Cities in all aspects. Cities include Beijing, Chengde, Datong, Hong Kong, Shanghai, Taipei, Lhasa (and Xian). Background links and information on History, Art, Culture, Politics, Peoples and more. Site includes Opt-in Mailing List to keep up to date and in contact. All Maps used in this Website : Downtown Xian, Great Wild Goose Pagoda , Ban Po Village and The Ch'ing Tomb of China's first Emperor and his Terracotta Soldiers Army . 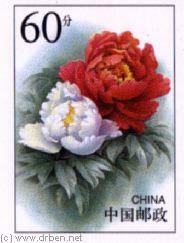 China's National Flower The Peony , on Stamp. Xian's Magnificient Bell Tower at it's Central City Square. Learn about what is new on this Site. News from the SiteMaster on the Latest Updates on- and Additions to- this Site. Quick Menu to All Districts of Xian. Short descriptions, Maps, Reports on Landmarks, Monuments and Hotspots. All Best Photos of Xian City in One Great Gallery ! Ticket to Terracotta Army at Qi'in Shi Huang Di Tomb. Google Search inside www.drben.net for your information. 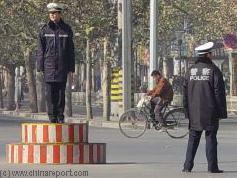 Source Book "Journey to The West (3 Parts)"
Traffic Police regulating traffic on a boulevard in South Xian. Help tell the Story of the City of Xi'An, shop for Music Online !